If you wish to boot from an ISO file on a flash drive, there’s a slightly complicated process you need to follow. It’s not as simple as just copying the file over to your USB drive. There are many instances when you need to create a bootable ISO file, for example when installing Windows 10. Although it sounds difficult, burning an ISO file to a USB drive is actually a very straightforward process. Once you download a little program called Rufus, things get relatively easy. This free tool does pretty much all the work for you and it’s extremely convenient to use considering its portability. You can run it from anywhere and it’s compatible with Windows 10 all the way to Windows XP. If you’ve correctly chosen the Rufus 3.0 Portable version (or later) when downloading, the tool should start immediately. If your flash drive is not already plugged in, make sure it is because the burning process obviously requires it. One thing that’s important to mention is that your USB drive will be completely erased so make sure there’s no sensitive data on it before going forward. Double-check to ensure your files have been backed up. When you’re in the Rufus program you will need to select the USB drive where the ISO image is going to get burned to. There’s a drop-down menu named ‘Device’ which enables this. Make sure you choose the right one if you’ve got multiple USB drives connected. It’s strongly recommended not to alter options such as Partition scheme or Cluster size unless you’ve been specifically advised to change these parameters. The default settings should work nicely for most users. One thing to try if you want to be sure you’re doing the right job is to look at recommendations made by the bootable tool you plan on creating. Browse for the ISO image that needs to be burned to the USB drive. This is done by looking for the Boot selection menu. Now you’re pretty much set to start the ISO burning process to your USB drive. You will probably get a message saying that all data will be erased, but you were already aware of that and should have prepared accordingly. Rufus works pretty fast and most cases shouldn’t take very long. There are some factors that impact the total waiting time such as the size of the ISO file or your computer’s hardware speed. You can check the status at the bottom of the tool’s window. It should say DONE when the process is complete. That’s it. You can now boot from that USB drive and access whatever tool or program you’ve burned to it. 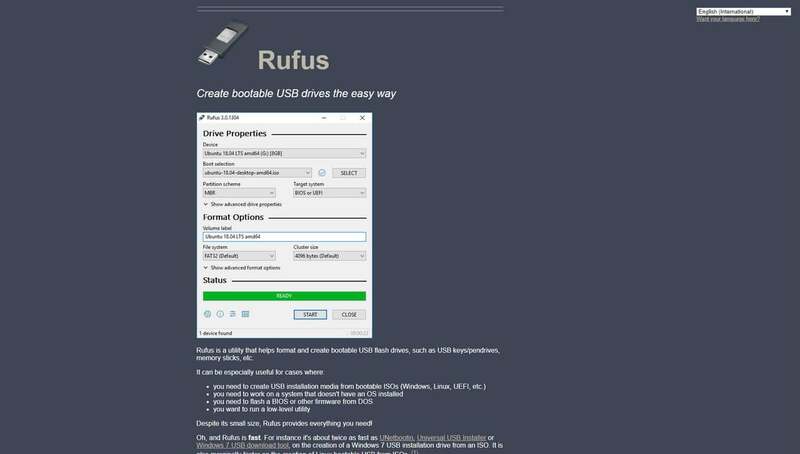 Rufus works without problems if you want to do a Windows reinstall as it can create a bootable USB drive from an operating system ISO image. Even so, if you want to do this for a Windows install, it’s recommended to go with the more ‘official’ route. Microsoft puts a tool at your disposal that deals with the whole process. Here’s a download link for it if you need it. Although Rufus is a popular tool for burning ISO files to USB drives, it’s not the only one to try. Alternatives include UNetbootin and ISO to USB. They’re free to use and accomplish more or less the same thing. Try them out if for any reason Rufus doesn’t work as expected. Did you find our article helpful? Then you can help us with a share using the buttons at the top of the article or you can read even more similar articles like the Free Driver Updaters or How to Format a Hard Drive.